Center for Independent Living Replaces Kindful + Classy + Eventbrite with Salsa’s All-in-One Platform! The Center for Independent Living in Central Florida works to eliminate barriers to enhance the lives of people living with disabilities. Since founded in 1976, the lives of over 260,000 people (and counting) have been changed dramatically by generous donors, helpful volunteers, dedicated staff and determined advocates. 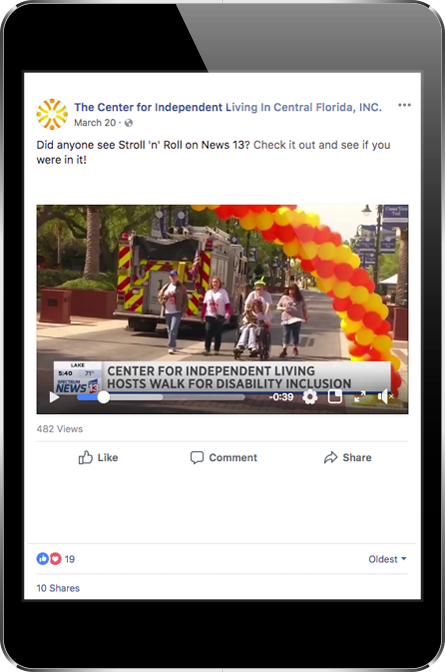 As their 7th annual “Stroll 'n' Roll” fundraising event approached, CIL couldn't bear another year of using fundraising software that would burden them with double work, dealing with a handful of different systems, and non-responsive vendor support teams. Kevin Walker, Marketing and Communications Manager at CIL said, “Previously, we used tools such as Classy, Kindful, and Eventbrite for our campaigns, but that meant we had little to no customization ability when building our pages and the registering process was very difficult. In the end, no one wanted to use these pages!". 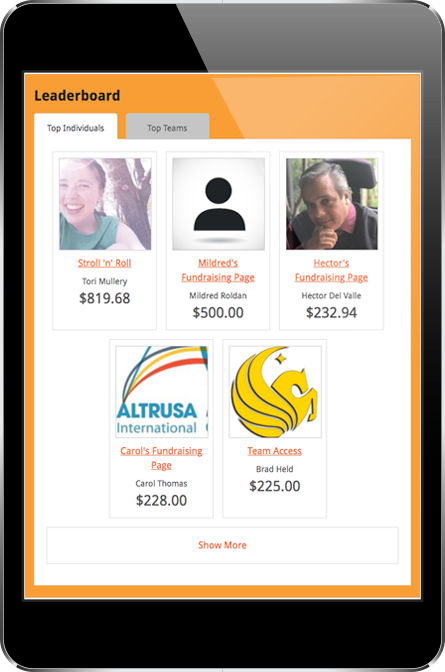 They needed to find an all-in-one platform that could handle all their fundraising event needs. Enter: Salsa Engage! 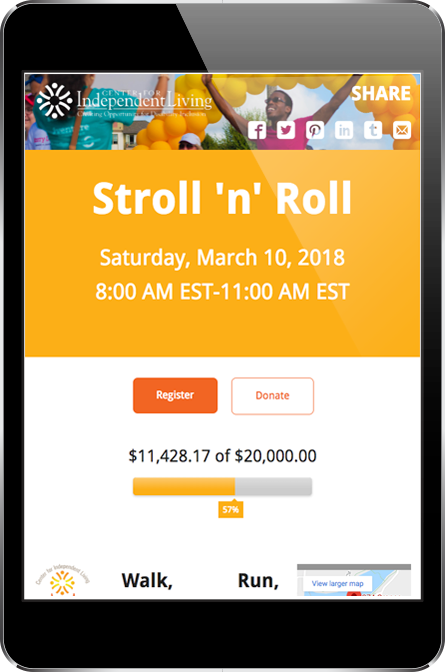 Quickly, CIL built their Stroll 'n' Roll peer to peer fundraising site with Salsa Engage and event registrations exploded! Kevin said, "We went from having maybe 15 people register across the various systems to almost all our participants registering in about one week!". Not only did Engage help bring in more participants and donors, it also provided CIL with much-needed features. CIL was able to experiment creative ideas with customizable templates, pull unique event reports whenever they needed to, and be assisted by a responsive support team that worked with them to get the answers they needed. 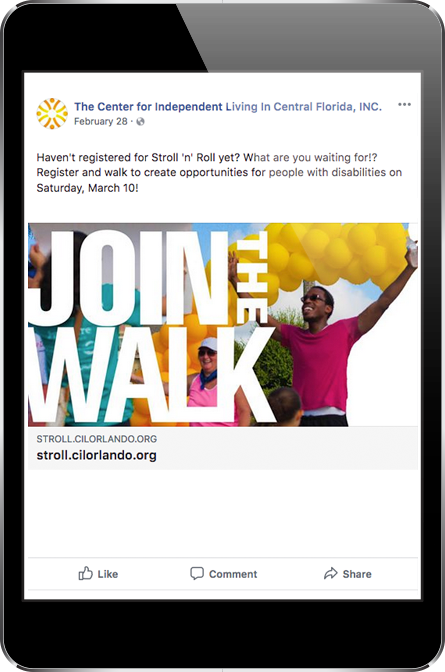 In the end, their Stroll 'n' Roll peer to peer site raised a little over $11,000, had 130+ registrants, and received 228 online donations. Even though the event has ended, the email functionality in Engage provides CIL with a strong way of communicating with everyone from the event. Each month, their supporters can look forward to reading an amazing story of how the funds they raised were able to impact lives in their communities.